The South East Lincolnshire Local Plan was submitted to the Secretary of State on 23rd June 2017. The Secretary of State appointed two independent Inspectors to examine the Plan for its legal compliance and soundness. The Inspectors held public hearing sessions between 10th October 2017 and 26th April 2018. At the hearing sessions, discussions focussed on those parts of the Plan which the Inspectors or representors considered not to be ‘sound’, and potential modifications to the Plan were put forward to address these issues. At its meeting on 29th June 2018, the Joint Strategic Planning Committee formally approved a Schedule of proposed Main Modifications for public consultation. an Equality Impact Assessment, which considers the potential impact of the modified Plan on different groups of people within the community. Representations were invited on the proposed Main Modifications from Monday 16th July 2018 to 5pm on Tuesday 28th August 2018. Comments could be made only on the Main Modifications and accompanying documents. This was not a further opportunity to comment on other matters set out in the Submitted Plan, as these have already been considered by the Inspectors. All the representations received (and the Joint Committee’s responses to them) can be seen by clicking here. Click the links below to see the documents. South East Lincolnshire Local Plan 2011-2036: Main Modifications Schedule. Inset Map No. 69 – Whaplode St Catherine. 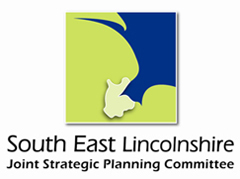 South East Lincolnshire Local Plan Sustainability Appraisal of Main Modifications (June 2018). South East Lincolnshire Local Plan Habitats Regulations Assessment – Proposed Main Modifications Stage (June 2018). Equality Impact Assessment of the South East Lincolnshire Local Plan 2011-2036 Main Modifications Version (June 2018).